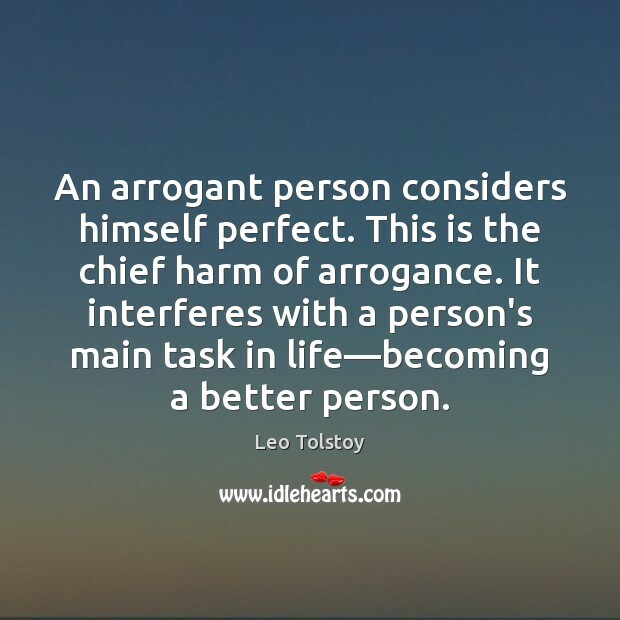 Quotations about Arrogant People. Quotes to stimulate mind and drive action! Use the words and quote images to feed your brain inspiring things daily! 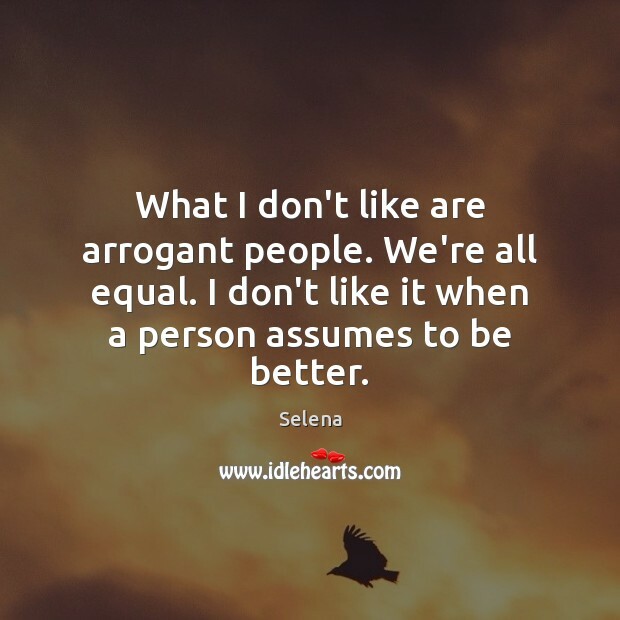 What I don’t like are arrogant people. We’re all equal. I don’t like it when a person assumes to be better. It angers me a little. There are a lot of people like that, but the world keeps turning. I also don’t like lies. I’m very honest. I’m always going to tell the truth. I don’t lie. I treat my friends the way I want to be treated. 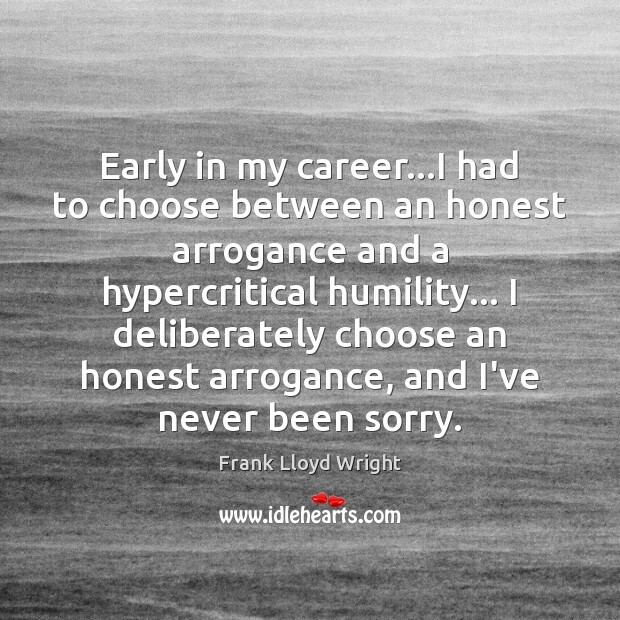 Early in my career...I had to choose between an honest arrogance and a hypercritical humility... I deliberately choose an honest arrogance, and I've never been sorry. 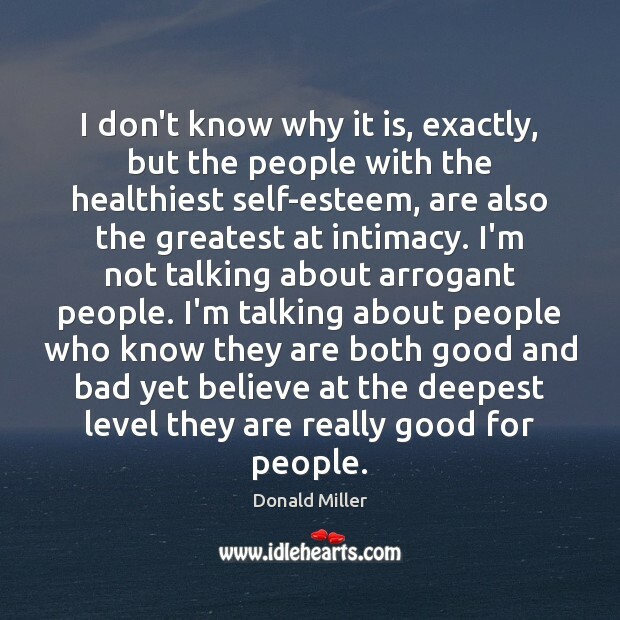 I don't know why it is, exactly, but the people with the healthiest self-esteem, are also the greatest at intimacy. 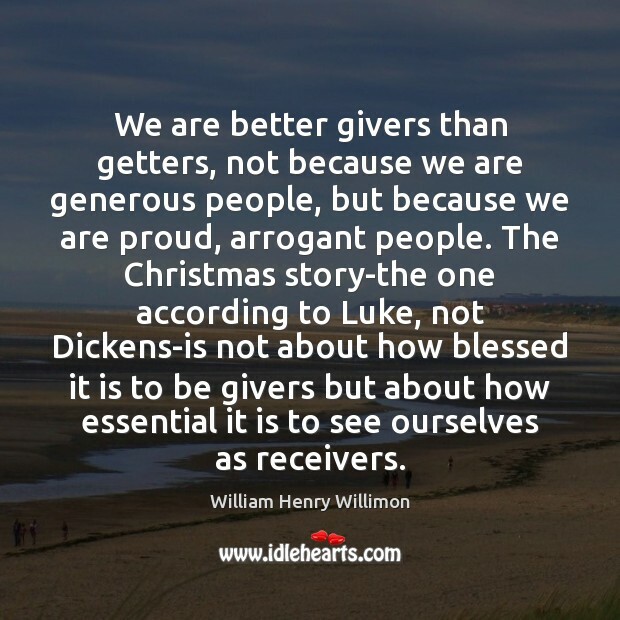 I'm not talking about arrogant people. I'm talking about people who know they are both good and bad yet believe at the deepest level they are really good for people. 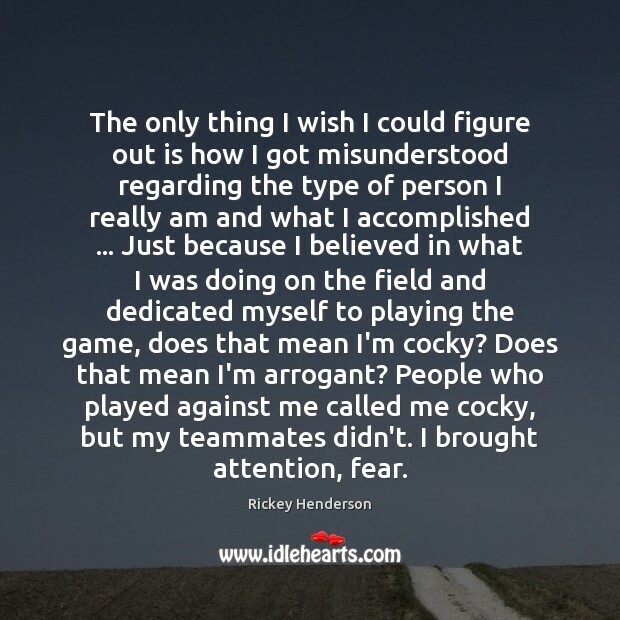 The only thing I wish I could figure out is how I got misunderstood regarding the type of person I really am and what I accomplished ... Just because I believed in what I was doing on the field and dedicated myself to playing the game, does that mean I'm cocky? 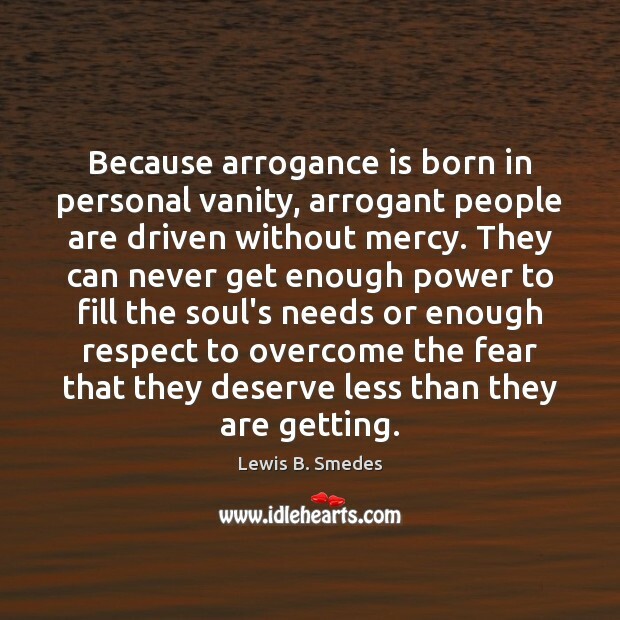 Does that mean I'm arrogant? People who played against me called me cocky, but my teammates didn't. I brought attention, fear. 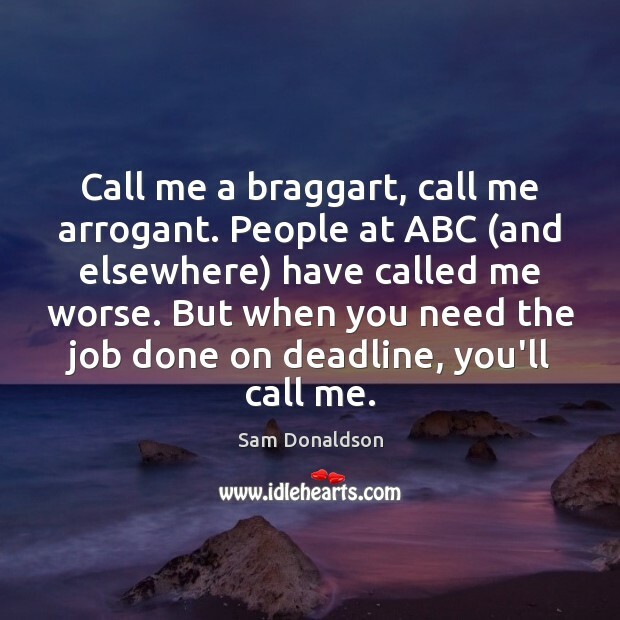 Call me a braggart, call me arrogant. People at ABC (and elsewhere) have called me worse. But when you need the job done on deadline, you'll call me. 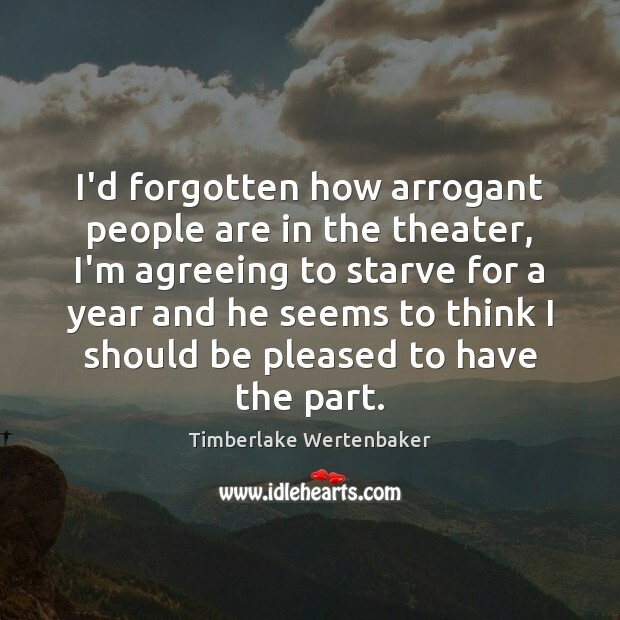 I'd forgotten how arrogant people are in the theater, I'm agreeing to starve for a year and he seems to think I should be pleased to have the part. 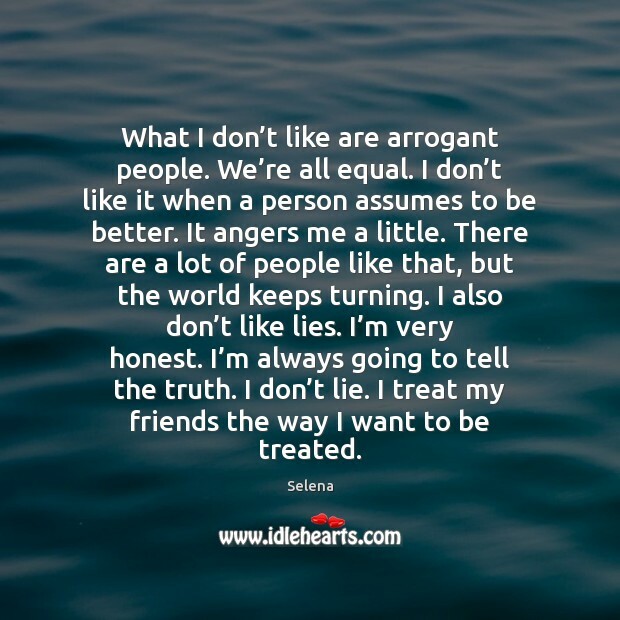 What I don't like are arrogant people. We're all equal. I don't like it when a person assumes to be better. 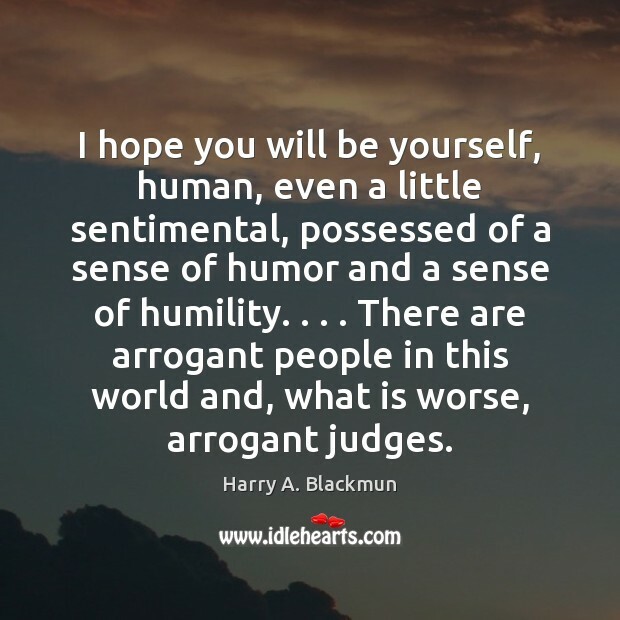 I hope you will be yourself, human, even a little sentimental, possessed of a sense of humor and a sense of humility. . . . 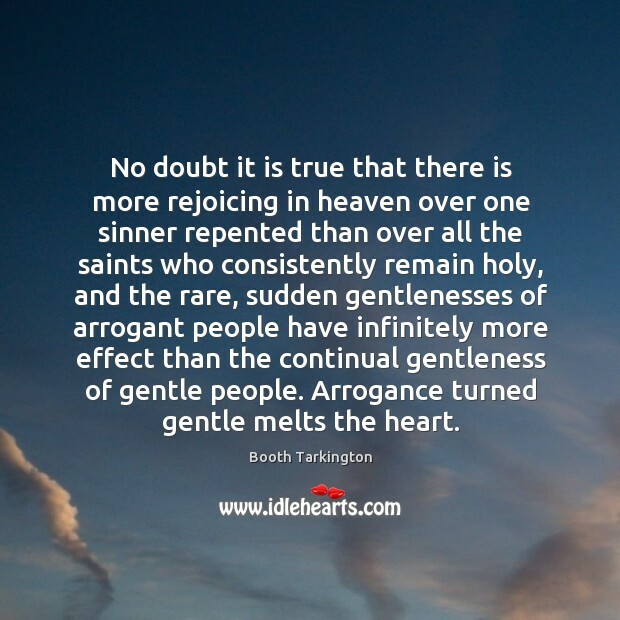 There are arrogant people in this world and, what is worse, arrogant judges. 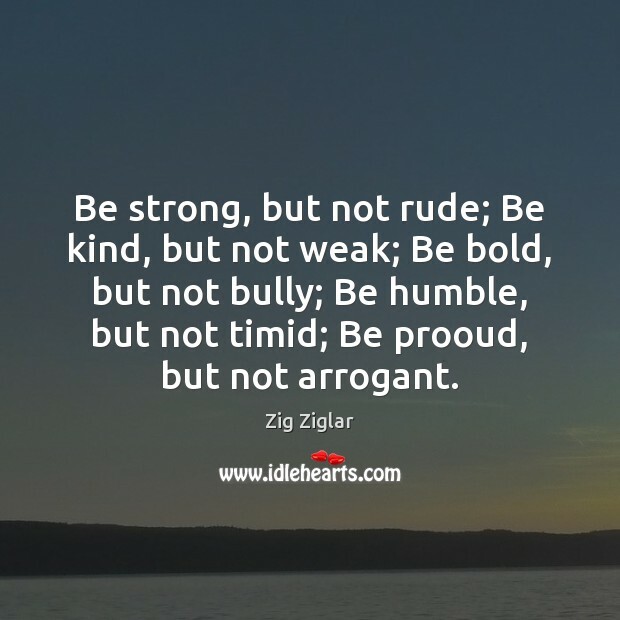 Be strong, but not rude; Be kind, but not weak; Be bold, but not bully; Be humble, but not timid; Be prooud, but not arrogant. 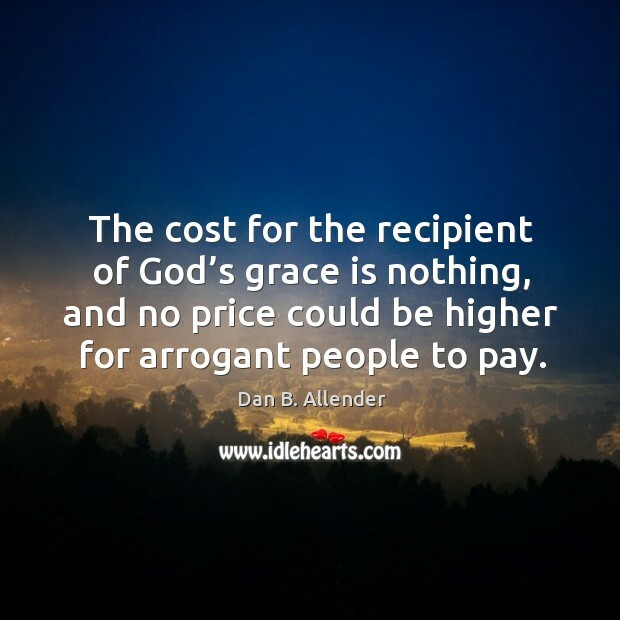 The cost for the recipient of God’s grace is nothing, and no price could be higher for arrogant people to pay.